Special thanks to Bloomsbury/Walker Childrens and Netgalley for an ARC of this title in exchange for an honest and unbiased review. Relativity will be in stores September 10th, 2013. I love the concept of hopping from one parallel universe to the next and Relativity played that part to perfection, in my opinion. I think it really captured the excitement and wonder of stepping into a parallel universe. What’s different in this other universe? Who’s here and who’s not? I was so excited each time Ruby stepped out of the tree so that the both of us could discover what type universe she landed in and who “she” was in that universe. For instance, the fashion-allergic Ruby finds out that, in one universe, she loves pink; in another universe, Ruby discovers that she excels at French (which is troublesome, since our Ruby has no idea what French quote mom just told her). I also love how the family dynamics changed from universe to universe, especially the relationship between Ruby and her mom. It was so sweet and sad to watch Ruby, who lost her mom in her universe, discover that her mom is alive in other universes. There was also a very poignant scene at the end that really was a breakthrough for Ruby and held a great (yet bittersweet) message that I loved. I thought that Ruby’s stepsister Kandy was really out of control violently attacking Ruby. It’s said that parallel universe Kandys are on meds/kleptomaniacs/have had a tough past, but still, that’s no excuse for Ruby not to tell anybody about Kandy harassing her. I’ve got to say, out of all of the parallel universe books I’ve read this year, I loved the way the concept was handled best in Relativity. Fast paced and thought-provoking, I’d recommend all you SciFi and Action-adventure readers pick up Relativity. Who knows? 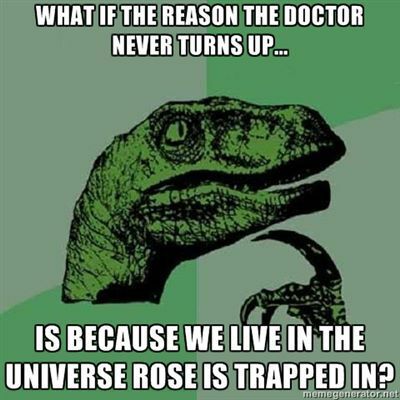 Maybe you’ve already read it in a parallel universe. What are some of your favorite parallel universe stories? Reminds me somewhat of The Butterfly Effect. I haven’t heard of that one, I’ll have to look it up! This sounds really good! The cover is awesome! I will have to check it out! Great review! Wow this sounds really interesting! I can’t remember the last parallel universe book I read (though I think my next one will be 3:59 by Gretchen McNeil – so excited for that!). I hope to check this one out too. I’m really liking this new trend :D I always find this a bit difficult to understand, but I’m so intrigued by the possibility. Great review and I’ll keep an eye on this one! Relativity sounds really interesting, especially because of the varying family relationships. I really liked seeing her interact with all the different versions of her family! :) Thanks, I saw it and knew that I just had to use it! I hope you enjoy Relativity! I’m sorry you didn’t like the other parallel universe books you’ve read, I think a lot of books with that concept are a real hit-or-miss. So excited, just got approved for this :D I won’t make the pub date, but at least I get to read it!